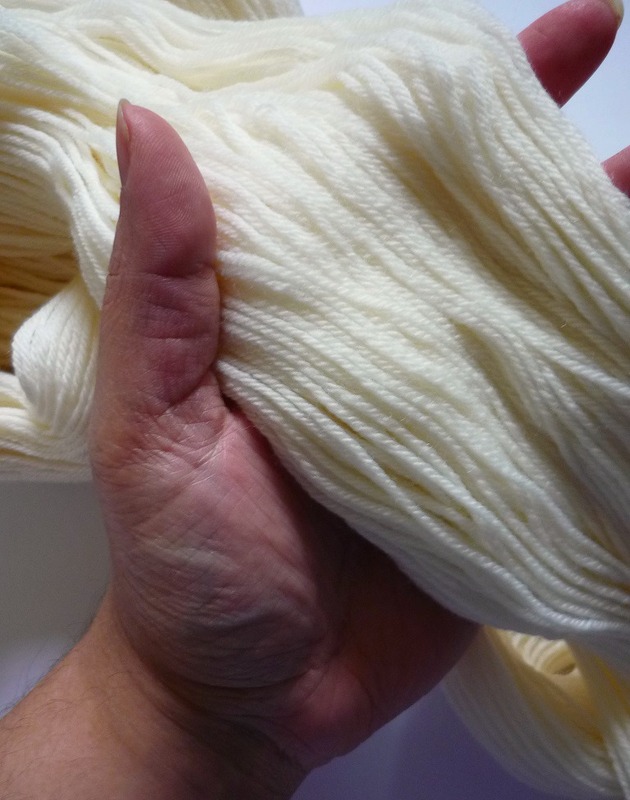 A quick scan of my blog will show you that it has been lacking posts about dyeing recently. It's been a while since I played with my dyes and I have been itching to give it a go again. 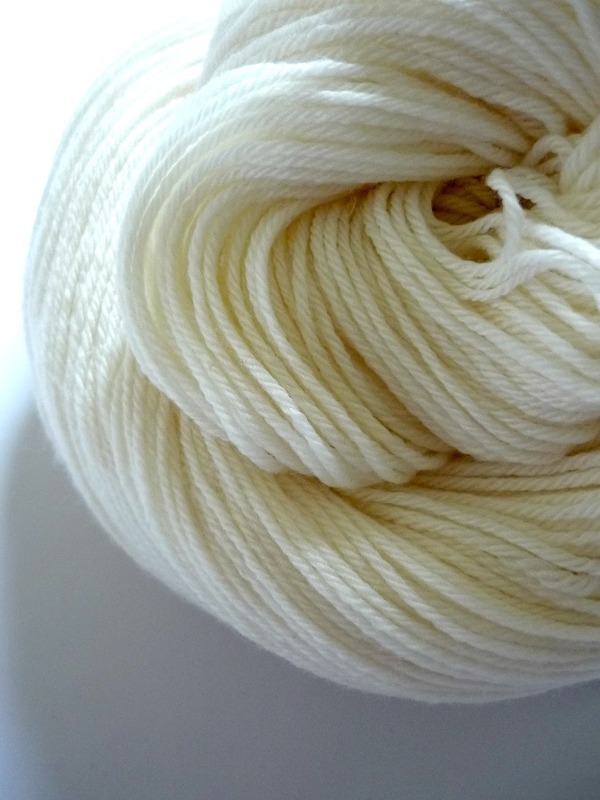 I have been especially tempted ever since Laughing Hens sent me this gorgeous hank of undyed superwash merino. Just look at the photos: it's sooo squishy! I don't think I have ever dyed such luscious yarn before, so I look forward to seeing how it will take to dyeing. I can't stop touching it. Before I choose a colour, I will have to make up my mind about what to knit this wool into. It is too nice for socks and as it is pure merino, it wouldn't hold up very well to being worn on my feet. This 4-ply would make a great hat or even gloves. It's a good thing I have been thinking of knitting new gloves lately, especially now that we have had a few very chilly days over here. If you have any other ideas, let me know! For your information, I have 400 meters of this yarn, so that is very decent. I am tempted to dye this differently from the way I usually work. Maybe I'll first knit something and then dye it. I would love to just partially dye the fingertips of gloves, for instance, or the top of a hat. So many possibilities! Also so much potential for disaster, but that makes it particularly exciting. I remember an attempt at speckle dyeing going very wrong... 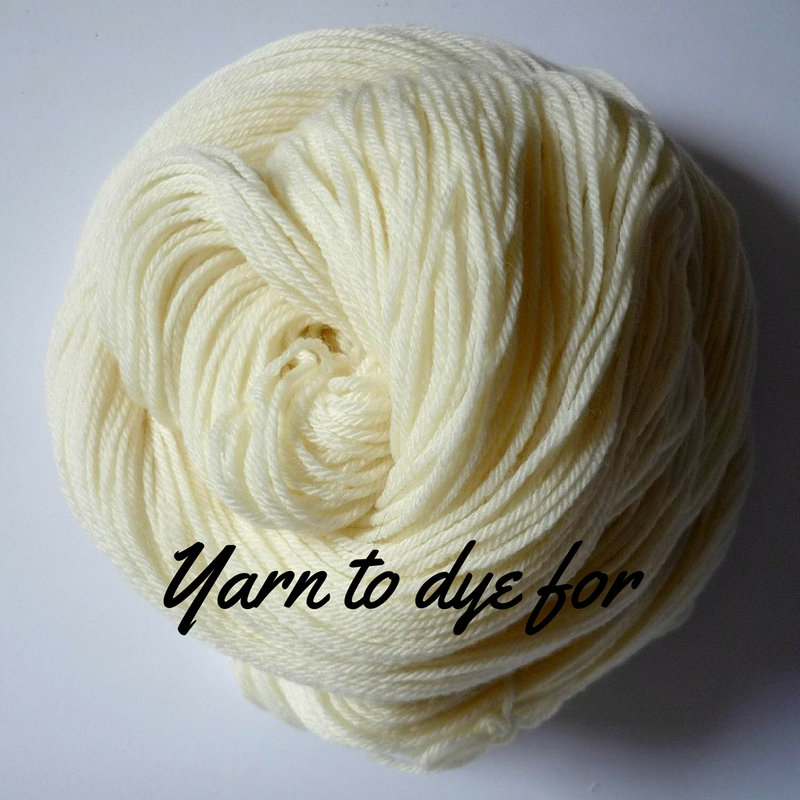 If I feel brave enough to give it another go, I would like to pre-dye the yarn in a lighter shade first and then try speckle dyeing over it in a second round. One day I might actually get a hang of this! What kind of dyeing technique to you like in the yarns you buy or dye yourself? Do you have particular colours you return to again and again or do you like to be as diverse as possible? I've noticed I tend to stick to the same colours and really need to branch out a little. 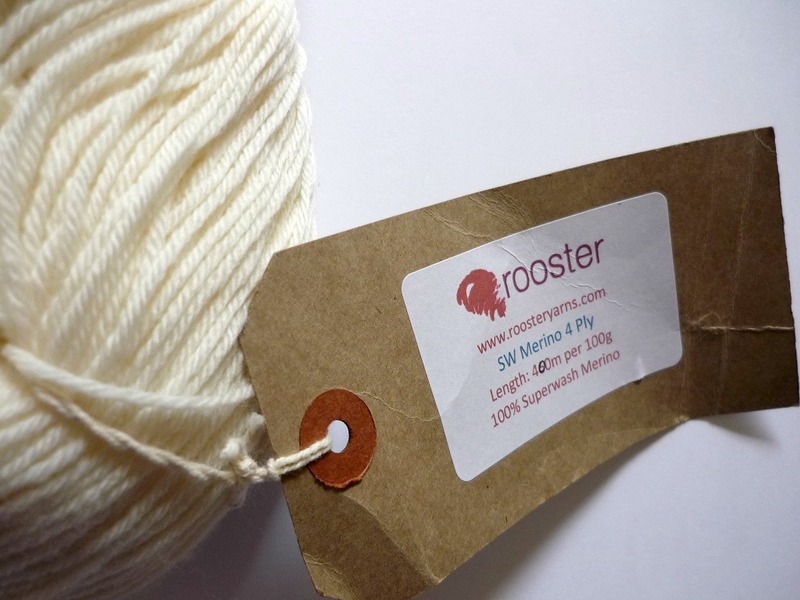 Perhaps this lovely yarn will be something completely different! I shall report once it's done, of course. Disclosure: This yarn was sent to me free of charge by Laughing Hens in exchange for a review. My opinions are impartial and honest and I do not receive monetary compensation for my post. This looks yummy! Can't wait to see what you come up with!